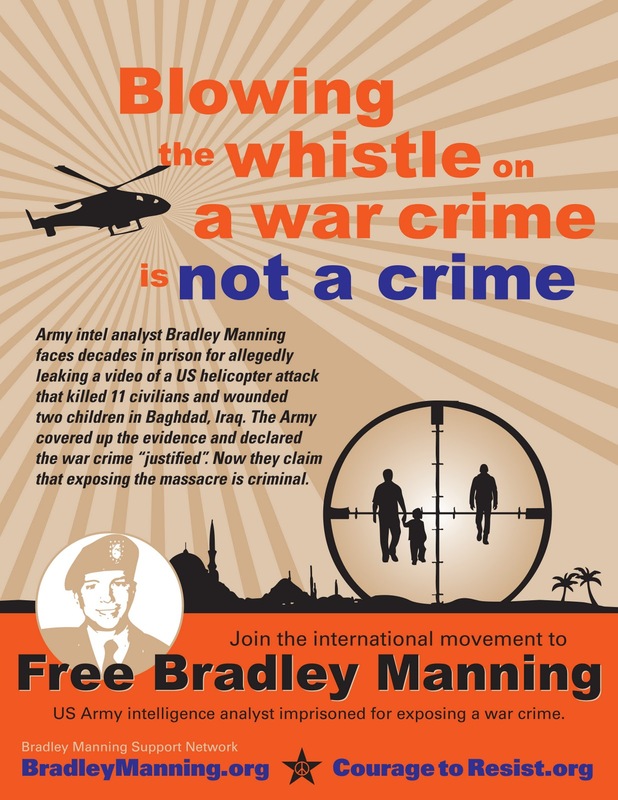 Bradley Manning v USG cont: Whistleblower Defence under Threat. Come and show solidarity with Brad on Tuesday along with VFPUK and others, as he appears in court for his next pretrial hearing –Tues 8th Jan to Friday 11th Jan. This is expected to deal primarily with the Govt motion to exclude motive. 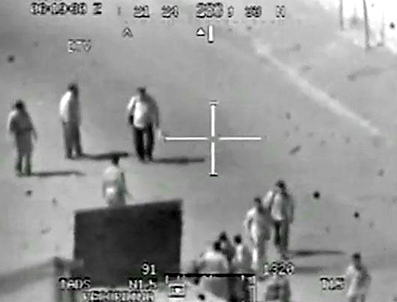 As previously, the entire soundtrack of the important Collateral Murder video will be played at the US Embassy as supporters stand in solidarity with Brad. As we stand facing the Eagle, we are telling the powers perpetuating this ‘asymmetric warfare’ that we have not forgotten the things that have been revealed to us, the things that they hoped to keep under wraps: we will still out lies. We are showing our respect and gratitude by standing in solidarity with Brad, the one now in the dock for standing for truth and justice, and reminding the authorities that we oppose their persecution of him. 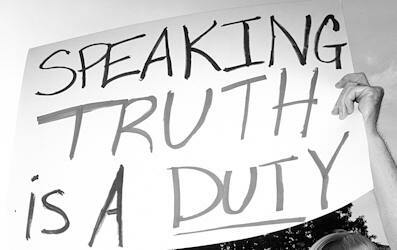 We are bringing the issues into the public arena by taking a stand in a public place, and raising awareness. And we are reminding ourselves of what matters, taking time out of our perpetual busyness to stop and focus, to remember, and to think about who we are and what we stand for. This is a meditation that all who seek change can ill do without. 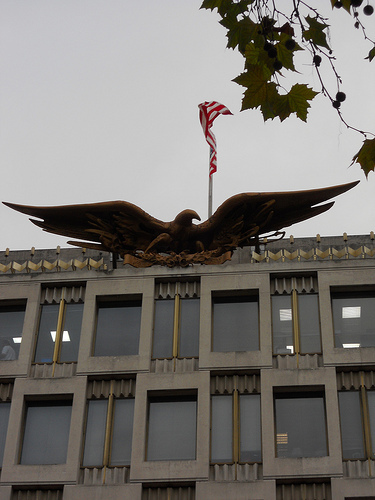 This (or something different) is a repeated gathering usually on one of the days Brad is in court for each hearing, and usually at the US EMBASSY LONDON when supporters in the US are gathering at FORT MEADE – check the court diary below to be aware of likely dates, and watch out for advance notices of day and time. Join our email lists for planning or notifications! You can also check Upcoming Events. And on BMSN all intl. events here. deal with the prosecution’s motion to exclude motive evidence from the trial. 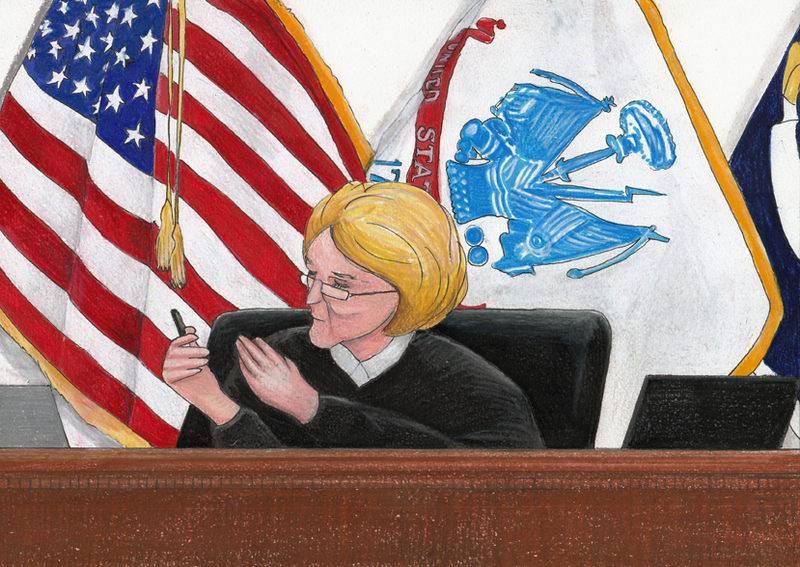 Bradley Manning returns to court next week, January 8-11, 2013, for another pretrial hearing. Judge Lind may rule on the defence motion to dismiss charges based on unlawful pretrial punishment, and prosecutors are arguing their motion to exclude motive. Government prosecutors are due to argue their motion to block any reference of Bradley Manning’s whistle-blower motives from the ‘merits’ portion of his trial (NOTE ie they aren’t discussing whether it should be taken into account re. sentencing, just in the arguing of guilt or innocence of charged offences). This is similar to the Govt’s motion to exclude the issue of ‘harm done’, or rather, as the defence would argue, the lack of harm done, which was previously argued in court [NOTE: it was previously argued but doesn’t seem to have been ruled on, so the *following statement* probably incorrect] *and which Judge Lind has ruled on (she accepted the govt’s motion, but with provisos)*. Again this doesn’t apply to sentencing (ie it may be taken into account for sentencing). Judicial Notice is the acceptance by the court of something as a fact (eg because it is generally ‘known’ or well attested to) without the need to produce evidence for it. *David Coombs is expected to be pushing further on the ‘harm’ issue by seeking Judicial Notice of various damage assessments/statements etc which show that no (or little) harm has been done by the WikiLeaks disclosures Brad is accused of leaking. This means they can then be referred to in court without their existence/substance being disputed. “cut Bradley’s defense at its knees”. 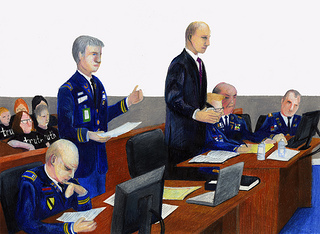 Manning needed to accept responsibility, so that he could move forward with his defense as a whistle-blower, ahead of the …..start of his court martial at Fort Meade, Maryland. free to explain how he was trying to do the right thing, expecting nothing in return, while sitting in that dark bunker at Forward Operating Base Hammer. The outcome of this 8th to 11th Jan hearing is therefore likely to be critical to the development of the defence case, and how the case in general proceeds at trial. Anyone with half an eye on the case can see that, most especially in this instance (and other ‘whistleblower’ cases), the absolute crux of it is ‘why things happened’, and the trial is a ludicrous sham (as others have been) without this at its heart. Nevertheless, it is apparently the driving policy of the Obama administration in these cases to totally blank out any whistleblowing aspect of these obvious acts of conscience, and there will be enormous pressure to avoid this being a case where motive is openly seen as key. Again, however, even if the judge technically accepts the prosecution motion to exclude motive, the arguments will presumably mean that the issue has been substantially raised in court, and the information can at least be used by the judge in sentencing. Interestingly, David Coombs has asserted that Brad will get more justice from the military court than he would in a civilian court, and seeing how some cases have gone recently in civvy street, has he got a point? WILL WE ALSO GET A RULING ON THE ‘UNLAWFUL PRETRIAL PUNISHMENT’? 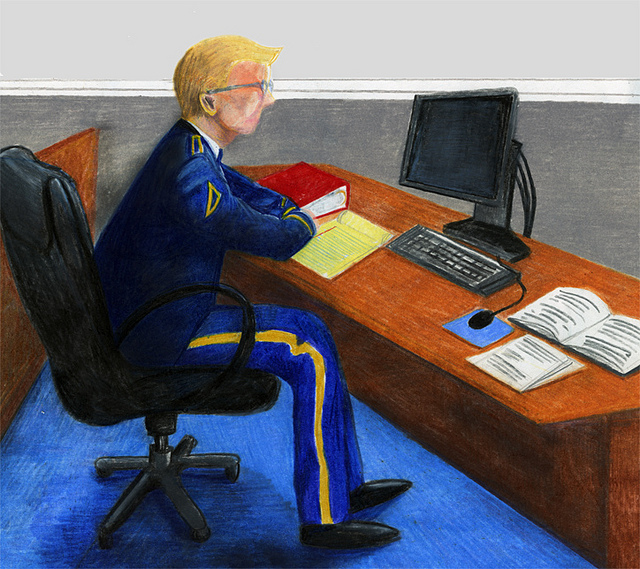 It is also possible that Judge Lind will rule on the defense motion to dismiss charges based on the abusive and unlawful pretrial treatment Bradley Manning endured at the Quantico Marine brig prison. 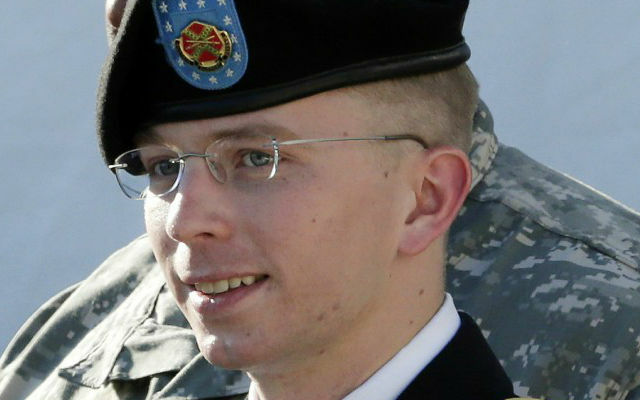 PFC Manning was kept in solitary confinement for over nine months, against the consistent recommendations of brig psychiatrists. If Judge Lind finds that this treatment was intentionally punitive, she could throw out the charges against PFC Manning, or she could award him multiplied credit for sentencing, possibly as much as ten days credit for every day spent in solitary confinement. 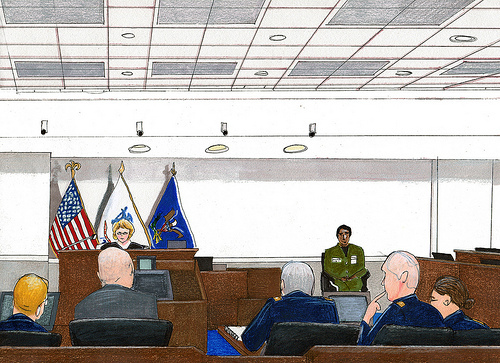 Bradley Manning’s court-martial trial is currently scheduled to begin March 6, 2013. This gives us two months to ramp up our efforts. 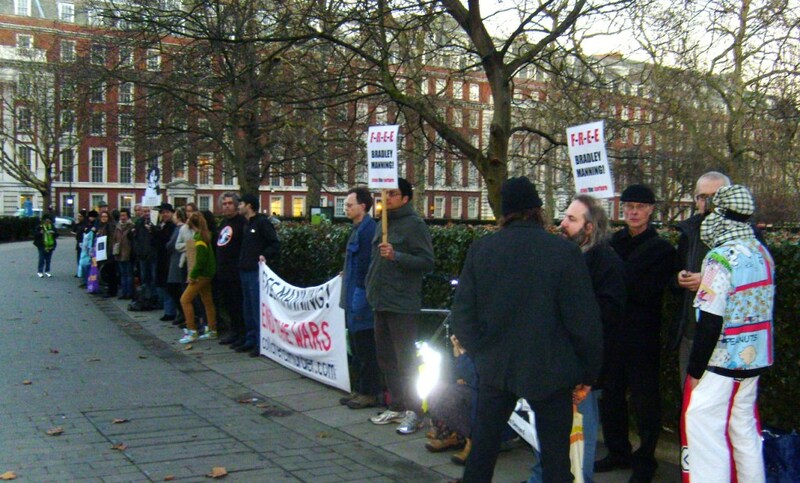 Help us pressure the government and military to do the right thing: FREE BRADLEY MANNING! We are asking supporters to take action to highlight Bradley’s case during the proceeding court dates, especially for the rest of the important ‘speedy trial’ motion hearing, which is expected to continue 16th -18th Jan, and leading up to and at the start of trial, expected in early or mid March. WE DON’T ALL HAVE TO STRIP OFF: BUT WHAT A GREAT PHOTO! New and inventive ways of drawing attention to the issues are sought especially at this stage! Creativity in taking a variety of actions is likely to have greater impact as we draw near to the trial and it would be good to try to keep up the momentum and maintain the increased level of interest shown throughout Brad’s ‘unlawful pretrial hearing’ motion. 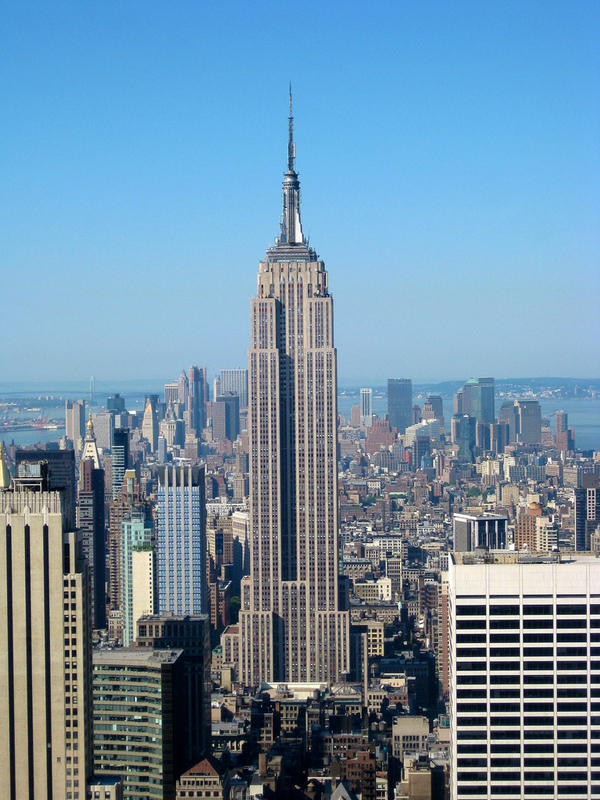 Do something visually striking wherever you are and take photos – even if it’s just you! Organise an event, meeting, film evening (there are several good options), discussion, and if you need speakers, let us know. Please get in touch – email us on contact@wiseupaction.info or sign up to one of our email discussion/info lists and join (or start) the conversation! If you have ideas for relevant banners/placards/actions etc but don’t want to/don’t have the resources to create them yourself, let us know what you’re thinking so we can help. And if you have resources, skills etc that you would be prepared to contribute, please say. Bradley Manning Support Network have just published a ‘timeline of events’ from back when Brad first joined the Army in 2007 up to date (and then projected through to the trial). So, this should serve as a memory jogger for the twists and turns of this amazing and historic case, and also be a good source of inspiration for topical actions! Following next week’s hearing, PFC Manning is then scheduled to return to Fort Meade on January 16 and 17 for the continuation of the defense’s motion to dismiss the charges for lack of a speedy trial. Just to underline the pertinence of this motion; when it is argued, PFC Manning will have been awaiting trial in prison for nearly 1,000 days. Clearly, by no stretch of the imagination is this ‘speedy’, yet that is what the military is supposed to guarantee any soldier facing court martial. The time from arrest to arraignment, for instance, should not exceed 120 days, and in Brad’s case it was 635…..
PFC Manning has been in pretrial confinement since 29 May 2010. As of the date of the filing of this motion, PFC Manning had been in pretrial confinement for 845 days. the Defense will argue that the military judge should dismiss this case with prejudice due to the Government’s abject failure to honor PFC Manning’s fundamental speedy trial rights. This is therefore another critical hearing when significant gains could be won for Brad, as the defence has argued that the exceptional amount of time Brad has had to wait for trial has almost all been caused by totally unacceptable delays. In connection with this David Coombs has just published another redacted defence document – ‘a defence reply to a govt response to defence speedy trial motion’ from October 2012. And the original motion (19th Sept) can be read here. At a hearing on the 7th and 8th November 2012, we heard witnesses for the govt opposing this motion; with skillful cross questioning David Coombs brought out that not only did the prosecution have no good reason for requesting most of the delays, but that the convening authority (who can give permission for delays which then won’t ‘count’ towards the 120), was extraordinary lax in regulating these delays. On the 16th and 17th January we should hear the defence witnesses. There are only a couple more months to make our voices heard for Justice in this landmark case – let’s make them count in any way we can, either together or as individuals. Gallery | This entry was posted in Uncategorized and tagged Action, Bradley Manning, call-out, Coombs, Court Martial, David Coombs, Defence, demo, Hearing, US Embassy, USG, whistleblower, WISE Up. Bookmark the permalink. 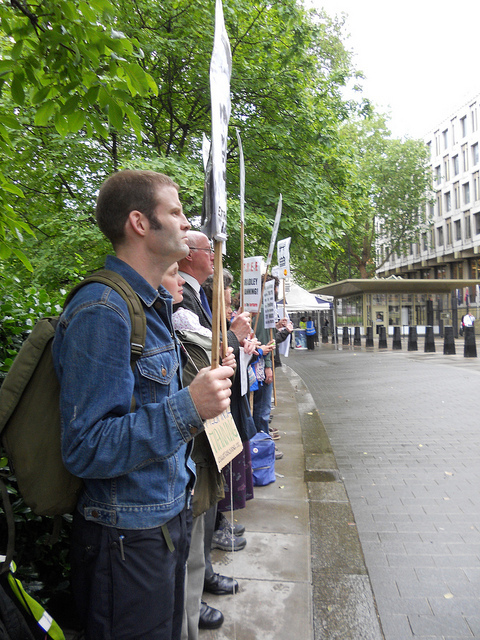 1 Response to Bradley Manning v USG cont: Whistleblower Defence under Threat.